Luxembourg, Oct 15, 2012 - SES (Euronext Paris and Luxembourg Stock Exchange: SESG) announced today that its 100 percent owned subsidiary SES Platform Services has signed a multi-year contract with global television network Fashion One to broadcast the free-to-air channel in SD at the orbital position of 19.2 degrees East starting on Oct 15. Broadcasting the latest in fashion, entertainment, lifestyle news, profiles of A-list celebrities, luxury brands, holiday destinations and red carpet events, Fashion One delivers a strong line-up of original programming of reality shows, documentaries, beauty tips and street styles in Africa, the Middle East, Europe and Asia. The global fashion and entertainment television network has been utilising SES capacity at the ASTRA 19.2 degrees East orbital position and will now contract the required capacity directly from SES. With its technical facilities in Munich, SES Platform Services is well-positioned to provide turnkey broadcast services into Europe and Sub-Saharan Africa and accommodate Fashion One's ambitions to further expand their operations globally. "We are pleased to work with SES' broadcasting solution and provide additional access to our viewers in Europe," said Ashley Jordan, CEO of Fashion One. "Following our recent milestone of launching our recent European headquarters in Antwerp, the 19.2 degrees East orbital will allow us to further expand with a potential reach of 110 million television households in Europe." Wilfried Urner, CEO of SES Platform Services, said, "Riding on the success we have achieved in important emerging markets such as Eastern Europe and Africa, we have expanded to focus on Asia as well, and therefore welcome the opportunity to facilitate Fashion One LLC's broadcasting activities across Europe. 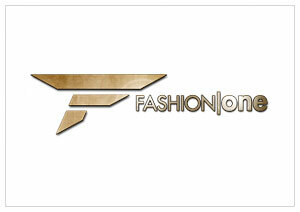 We look forward to this new partnership with Fashion One LLC and in supporting their global aspirations." Fashion One is also being broadcast via the ASTRA 5 degrees East orbital position.